We love the idea of using candle holders with a cute heart cut out – this is particularly apt if you’re tying the knot on Valentine’s Day! 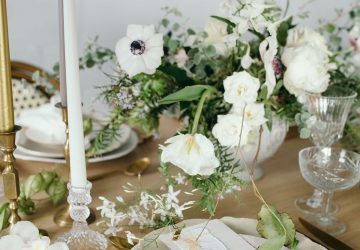 Planning a country wedding? 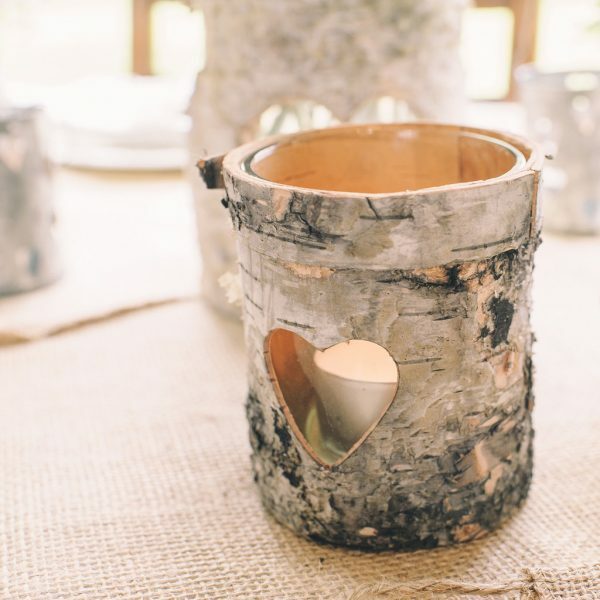 Our wooden-inspired tea light holders are perfect for a rustic edge. Colourful candle holders will also look beautiful at a Spring or Summer wedding. The cut out gives a subtle glow from the warmth of the tea light. Why not mix and match your candle holders by filling two with tea lights and the other with some pretty blooms? 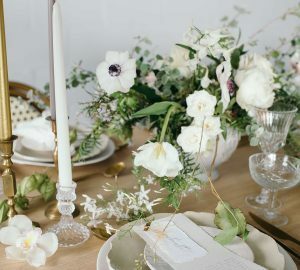 Cluster a small group together and you’ve got yourself a beautiful wedding table centrepiece! 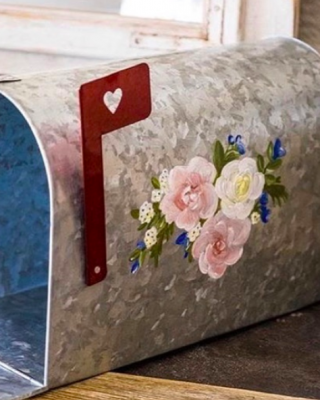 Metallic accents are becoming increasingly popular at weddings and we can definitely see why. 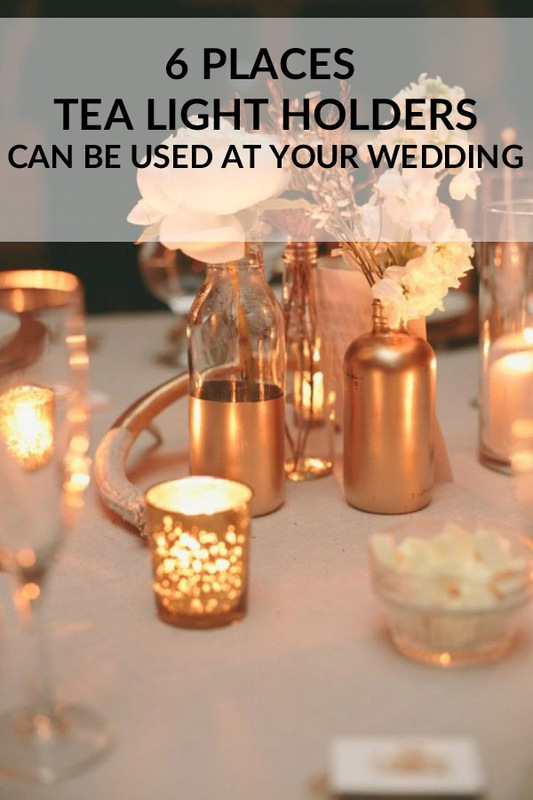 Copper and rose gold are must-have metals for any wedding, and give off an industrial warehouse vibe. 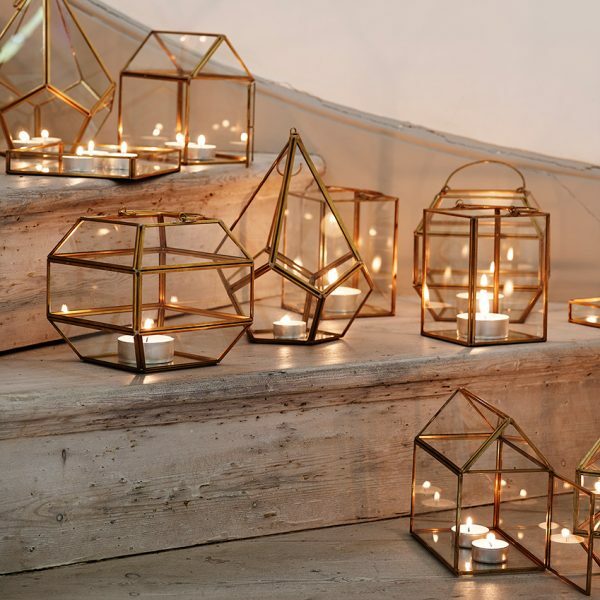 Tea lights in copper geometric holders are an ultra stylish addition to any wedding reception. Use a single geometric holder as a table centrepiece for a minimalistic look, or line along the ceremony aisle to add the ‘wow’ factor. Alternatively, group together on your wedding gift table around the edges of the table. Not only will they look chic, they’ll create a warm atmosphere. 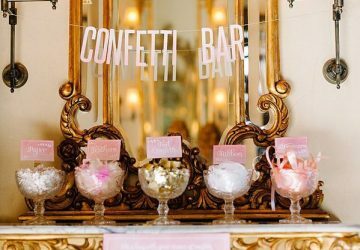 Wedding favours are usually the finishing touch of any wedding day and you want to give your guests something they’ll really appreciate. 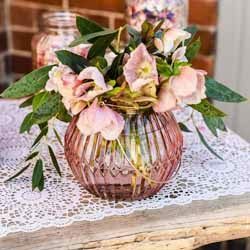 Why not offer tea lights in pretty lace or hessian candle holders? 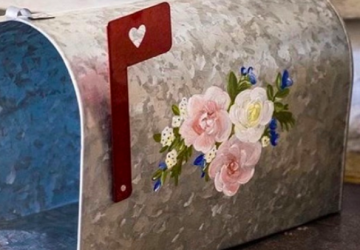 It means your guests can actually use them, and when they do they’ll remember your wedding day. 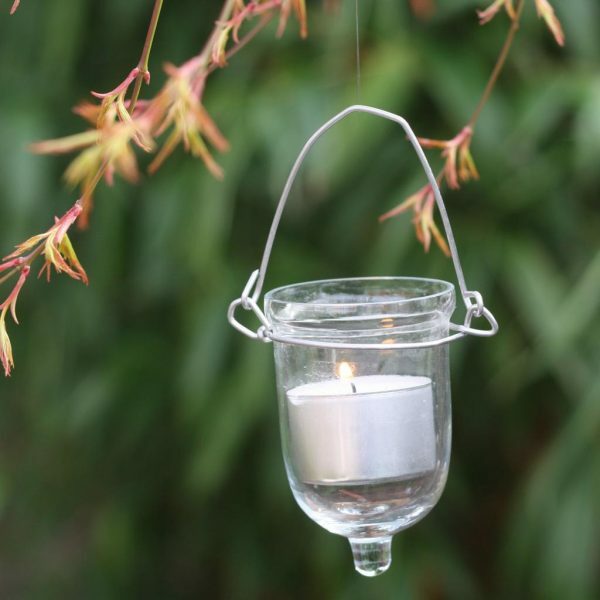 Light up the outside of your wedding venue by hanging tea lights in glass lanterns in trees. This will create a wonderful glowing atmosphere when your guests step outside. They will also look incredible in your wedding photographs. Hang the vases or lanterns from different heights to create maximum impact. 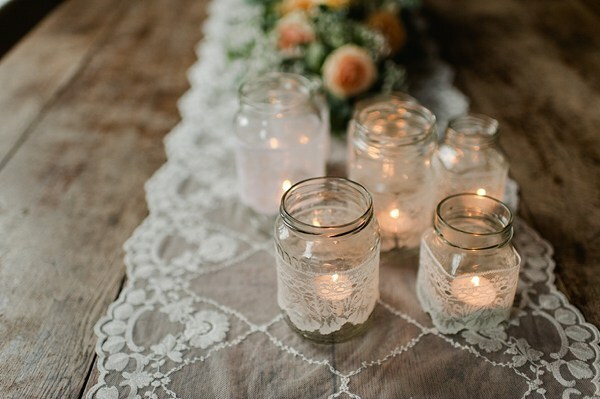 Mason jars and jam jars will never go out of fashion in the wedding world and we absolutely love them. 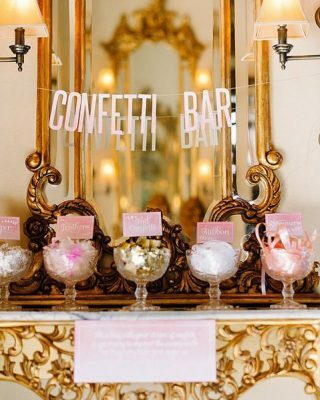 They’re incredibly versatile and the possibilities are endless when it comes to wedding décor. 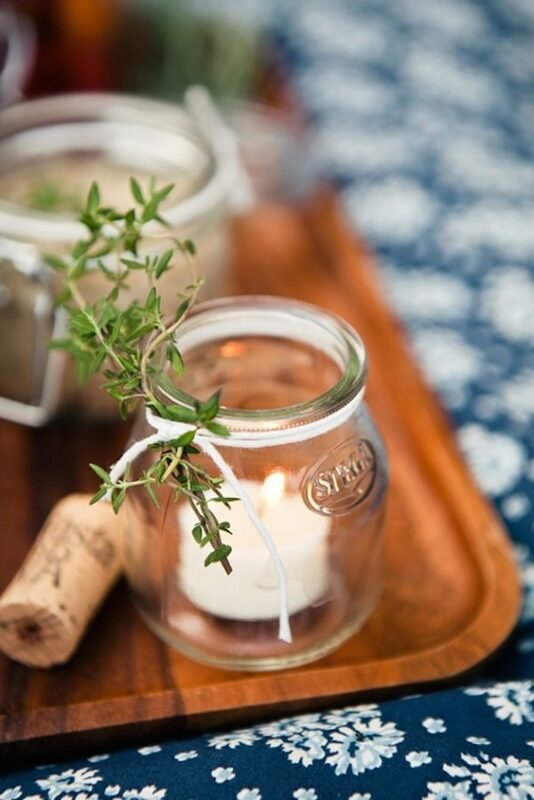 Add a single tea light to each jar and decorate with something that ties in with your wedding theme. Hessian, lace or colourful ribbon will work perfectly. 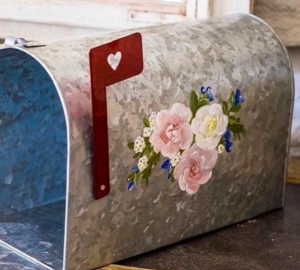 You could even decorate with a sprig of lavender for a pretty, floral style. They’ll look gorgeous placed on a wooden tree slice along with some jars of flowers as your table centrepieces. One mason jar will be enough if you’ve opted for a round table, but if you’ve got a trestle table line a number of jars along the table. 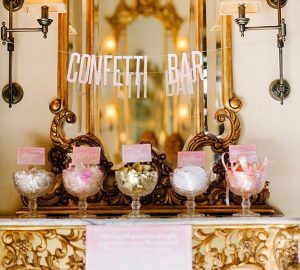 You could even add a little glow to your wedding bar by dotting jars of candles along the front – just be careful they don’t get knocked over! Looking for a vintage table centrepiece with a difference? 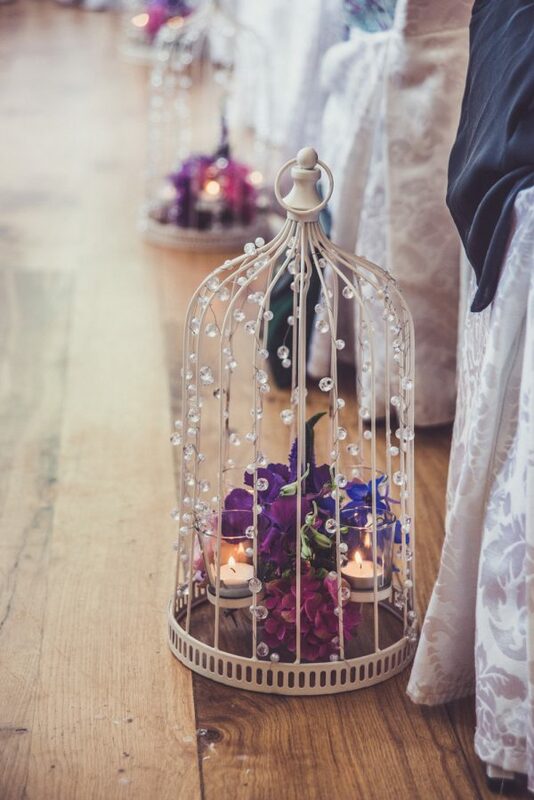 We love the thought of placing a couple of tea lights in an antique birdcage. 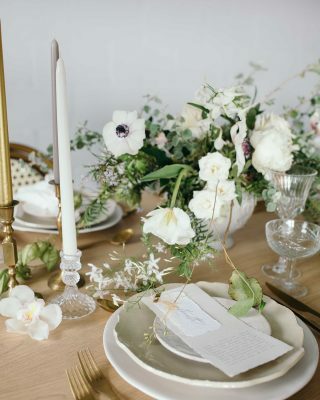 This look can be kept simple, or dressed up with a sparkly table runner or some pretty floral decorations. Browse our complete collection of tea light holders here or click on our featured tea light holders below.